Two Oakland cops may face criminal charges for allegedly entering a county probation officer's home and assaulting her while intoxicated. Two Oakland police officers have been placed on administrative leave while the Oakland Police Department, the Alameda County District Attorney's Office, and private civil rights attorneys investigate the circumstances surrounding a home invasion and assault committed by at least one of the cops on December 7. One city source, speaking on condition of anonymity, said the attack involved two Oakland cops who had been drinking heavily at a Montclair bar earlier in the evening. It's unclear if the officers were on or off duty when the incident occurred. But one of the people who was allegedly assaulted is herself an Alameda County probation officer. Motives for the attack are unclear, and details have only begun to emerge. According to Oakland Police Department records obtained by the Express, the home-invasion and assault happened at about 9:20 p.m. on Monday, December 7. Oakland police officers Christopher Lorenz and Huy Nguyen were patrolling the Oakland hills area when a call came over the radio reporting a "home invasion robbery" that had just occurred, and that the suspects were still in the vicinity of the crime scene. Lorenz and Nguyen sped to the location, a house on a secluded cul-de-sac off Mountain Boulevard, just east of Highway 13 in the Leona Heights neighborhood. A police dispatcher relayed more information to officers Lorenz and Nguyen from the person who called 911 asking for help. The caller, Olga Palafox-Cortez, who is a probation officer with the Alameda County Probation Department, told an OPD dispatcher that two white men, roughly 25 years of age, "came into [her] house." One of the men was armed with a gun, and one of them "jumped on" Palafox-Cortez and "242'd" her. A "242" refers to Section 242 of the California Penal Code, which defines assault and battery, misdemeanor crimes that are punishable with imprisonment. According to the incident report, Palafox-Cortez and her husband, Nemesio Cortez, fought back against the intruders. 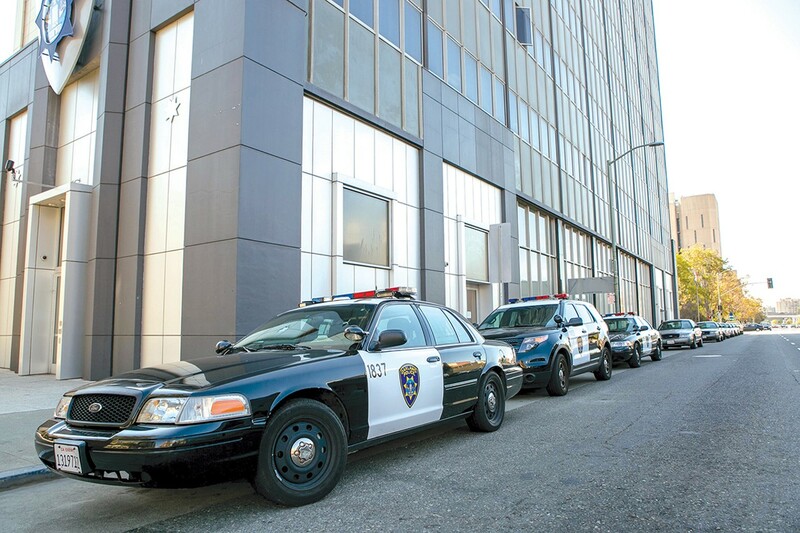 Nemesio Cortez chased at least one of the assailants outside of the house, and the assailant was tackled and held down by the couple's neighbors until officers Lorenz and Nguyen arrived in a marked Oakland police vehicle. According to the incident report, the suspect who "jumped on" and assaulted Palafox-Cortez inside her home was Cullen William Faeth, an Oakland police officer who was hired in December 2013. Faeth was later described in a police report as "calm" and "polite," by the officers who responded to the scene. Faeth was wearing blue jeans and a gray sweatshirt. The incident report notes that Faeth was taken into custody for suspicion of committing battery, and for public intoxication. The report did not state whether Faeth was the suspect armed with a gun, or whether any firearms or other weapons were recovered. Officer Faeth could not be reached for comment, but Oakland police spokesperson Marco Marquez confirmed that the department placed Faeth on paid administrative leave after he was arrested. Faeth's father, David Faeth, also works for the Oakland Police Department as a sergeant. Marquez said that because Faeth's arrest is a personnel matter, the department cannot offer any further comment. Marquez declined to name other officers who may have been accompanying Faeth when he allegedly attacked Palafox-Cortez. The incident report, however, notes that there were at least two suspects who entered Palafox-Cortez's home, and Marquez did confirm that at least one other officer besides Faeth has been put on administrative leave as a result of the incident. Teresa Drenick, a spokesperson for the Alameda County District Attorney's office, confirmed that the Oakland police have forwarded the case to the DA for a possible criminal prosecution. "The matter is under review," wrote Drenick in an email to me. Few other details are known at this time. In response to a Public Records Act request, Oakland police released an incident report filed by officer Lorenz, but the names and other identifying information of every witness, and other possible suspects, were redacted. In fact, except for four lines of summary information, the entire six-page narrative of the incident report was redacted. Palafox-Cortez's attorney, Melissa Nold of the Law Offices of John L. Burris, said that she is still conducting an investigation and that Palafox-Cortez is not prepared to comment. But it appears that in addition to any department discipline and charges from the DA's office, Officer Faeth and the Oakland police could be facing a civil lawsuit.